Tips and Guidelines for Students want to Study Abroad | Go For Visa | Australia Immigration Consultant & Visa Experts in India. If you are having a desire to study in any of the prestigious universities in abroad then you have to make yourself deserved for that spot as they demand lot of eligibilities from you. You need to make sure that you got all the qualities that are demanded by the universities abroad. As an Immigrant, you need to pass through the immigration procedures to make your dream possible. English is the first thing that you have to focus in order to get into the country of your choice. You have to learn English in its highest level in order to attend their interviews. It is also recommended for you to choose the right kind of study abroad program in the country and speak with the authorities confidently about your intentions and ambitions. It also varies from one country to another. Therefore, you have to be aware of the expectations and eligibilities of the particular country that you selected. You also need to explain your intention to visit the country as study not for any other jobs and you have to mention it to the authorities very clearly. Ultimately, you have to be confident and clear in your approach in the interview process to make a good impression on the immigration authorities. You can also get guidance from your immigration consultant in order to get more confidence. 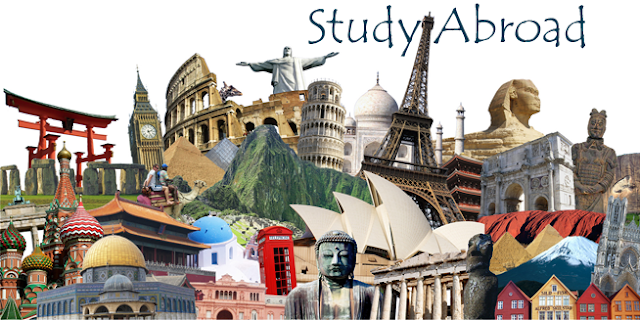 Nice blog ............studying abroad will be a dream to every student this blog will be really helpful for the students who dreamed to in abroad. Finally, parents should check with college and high school best essays to ensure that the program is one that can be used to fulfill graduation and college entry requirements.